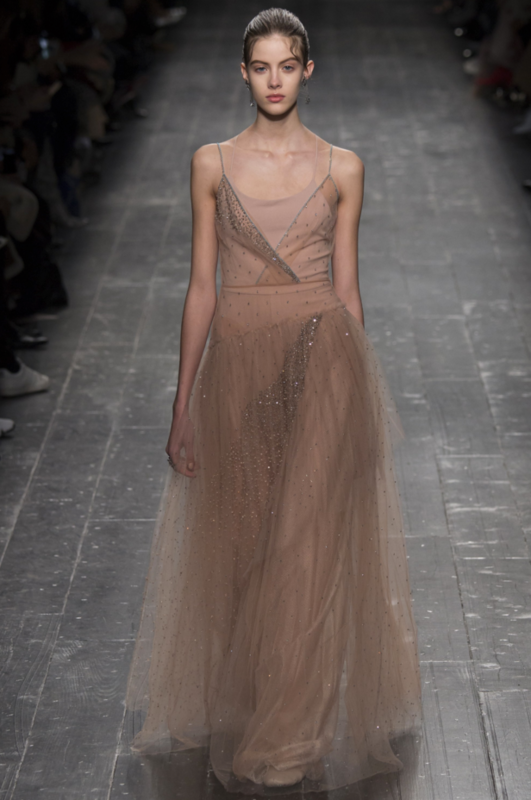 Maria Grazia Chiuri and Pierpaolo Piccioli put their own spin on a longtime Valentino theme in their ready-to-wear collection for Fall/Winter 2016. This was an homage to dance, referencing everyone from Martha Graham and Merce Cunningham to Diaghilev and the Ballets Russes, and taking cues as well from the layered leotards, skirts, tights and sweaters that dancers where in the studio when they rehearse. Mr. Valentino, of course, has loved the ballet since his youth—and Mr. Giammetti is such a fan, he’s a board member of the New York City Ballet. 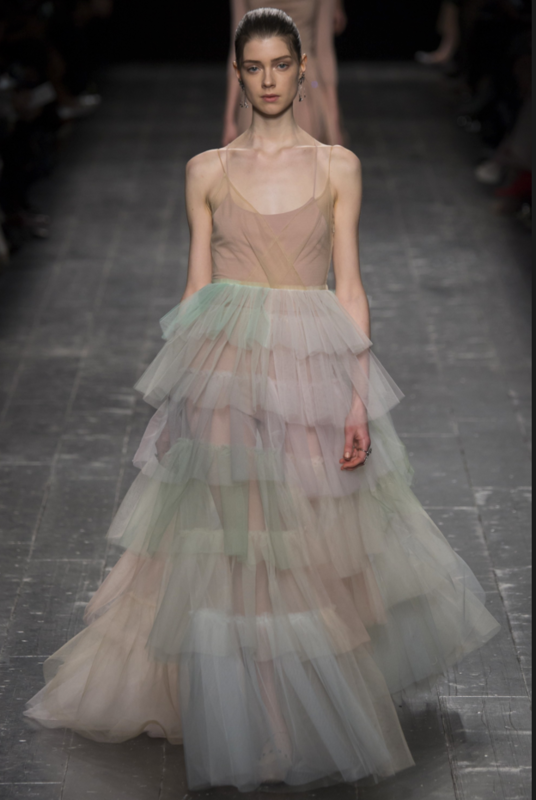 Dance’s influence on Mr. Valentino’s aesthetic is so pervasive, it’s difficult to isolate to a few garments—although, if forced to pick just one example of a dance-inspired look, you could do worse than choose the tulle-skirted bustier dress in Valentino from the Fall/Winter 2002 ready-to-wear collection, which hearkened back to the “café chantants” where ladies would perform in the era of France’s belle époque. The importance of dance to Mr. Valentino is demonstrated in the fact that, since his retirement from the maison, he’s returned to design only rarely, and two of those occasions were to create costumes for the ballet. In 2008, he clothed dancers from the Paris Opera Ballet for their performance in the New Year’s Concert from Vienna, and in 2012, he accepted the invitation of his friend Peter Martins, New York City Ballet Master-in-Chief, to confect a few looks for a one-night-only performance at the Corps’ Fall Gala. Mr. Valentino got his own standing ovation that night—and as he told curator Hans Ulrich Obrist in an interview for System magazine, he’s coming up with ideas for more costume ideas all the time. 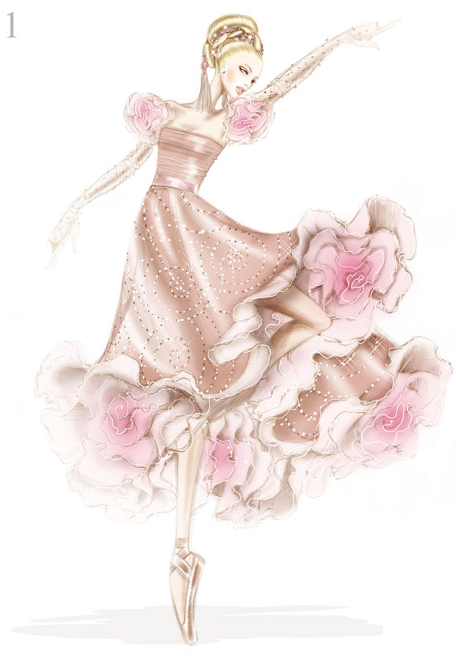 “I draw automatically ballet things,” Mr. Valentino said to Obrist. And even now, Mr. Valentino draws every day.